Range Partition :- Range Partitioning maps data to partitions based on ranges of partition key values that you establish for each partition. It is the most common type of partitioning and is often used with dates. 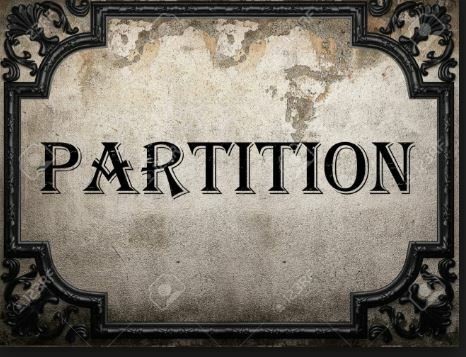 LIST PARTITION :- List Partitioning is used to list together unrelated data into partitions. It is a technique where you specify a list of discrete values for the partitioning key in the description for each partition. Hash partitioning based on a hash algorithm. Hash partitioning enables partitioning of data that does not lend itself to range or list partitioning. The records in a table, are partitions based on Hash value found in the value of the column, which is used for partitioning. Hash partitioning does not have any logical meaning to the partitions as do the range partitioning. Interval partitioning is an enhancement to range partitioning in Oracle 11g and interval partitioning automatically creates time-based partitions as new data is added.The PARTITION BY RANGE clause is used in the normal way to identify the transition point for the partition, then the new INTERVAL clause used to calculate the range for new partitions when the values go beyond the existing transition point. Insert data with a ORDER_DATE less than ’01-NOV-2007′ the data will be placed in the existing partition p1 and no new partitions will be created. Interval partitioning is restricted to a single partition key that must be a numerical or date range. At least one partition must be defined when the table is created. Interval partitioning is not supported for index-organized tables. You cannot create a domain index on an interval partitioned table. Interval partitioning can be used as the primary partitioning mechanism in composite partitioning, but it can’t be used at the subpartition level. A MAXVALUE partition cannot be defined for an interval partitioned table. NULL values are not allowed in the partition column. There are scenarios where a database developer or database designer is not able to make a logical way to partition a huge table. Oracle 11g has provided us a way to define partitions in an intelligent manner by System Partitioning, where application needs to control destination partition for a specific record. The DBA just needs to define the partitions. The partition must be explicitly defined in all insert statements or an error is produced. The PARTITION clause is used to define which partition the row should be placed in. Notice that the HIGH_VALUE for the partitions is blank. The PARTITION clause is optional for update and delete statements, but omitting this clause will force all partitions to be scanned, since there is no way perform automatic partition pruning when the database has no control over row placement. When the PARTITION clause is used, you must be sure to perform the operation against the correct partition. The PARTITION clause can also be used to check specific partitions. When selecting, updating, or deleting data from a system partitioned object, the best practice is to always specify the partition to avoid scanning all partitions. The use of system partitioning should be viewed with scrutiny by a DBA since it transfers responsibility of optimal use of partitions away from the DBA and to the developers and applications. Reference partitioning is for a child table is inherited from the parent table through a primary key – foreign key relationship. The partitioning keys are not stored in actual columns in the child table. The child table is partitioned using the same partitioning key as the parent table without having to duplicate the key columns.Partition maintenance operations performed on the parent table are reflected on the child table, but no partition maintenance operations are allowed on the child table. We now expect the parent table to have 2 records in the 2007 partition and 1 in the 2008 partition, while the child table should have 1 row in the 2007 partition and 2 rows in the 2008 partition. The following query confirms out expectation. Composite partitioning is a combination of the basic partitioning techniques of Range, List, Hash, and Interval Partitionings. This is basically a combination of range and hash partitions. The data is divided using the range partition and then each range partitioned data is further subdivided into a hash partition using hash key values. All sub partitions, together, represent a logical subset of the data. This is a combination of Range and List partitions, first the data is divided using the Range partition and then each Range partitioned data is further subdivided into List partitions using list key values. Each subpartition individually represents logical subset of the data not like composite Range-Hash Partition.